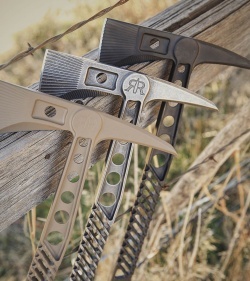 The MT-1 Tomahawk from Red Rock RifleWorks offers a mean monolithic design for advanced tactical applications. Made from a single piece of chrome-moly 4140 steel, the MT-1 is built to withstand the harshest environmental conditions. 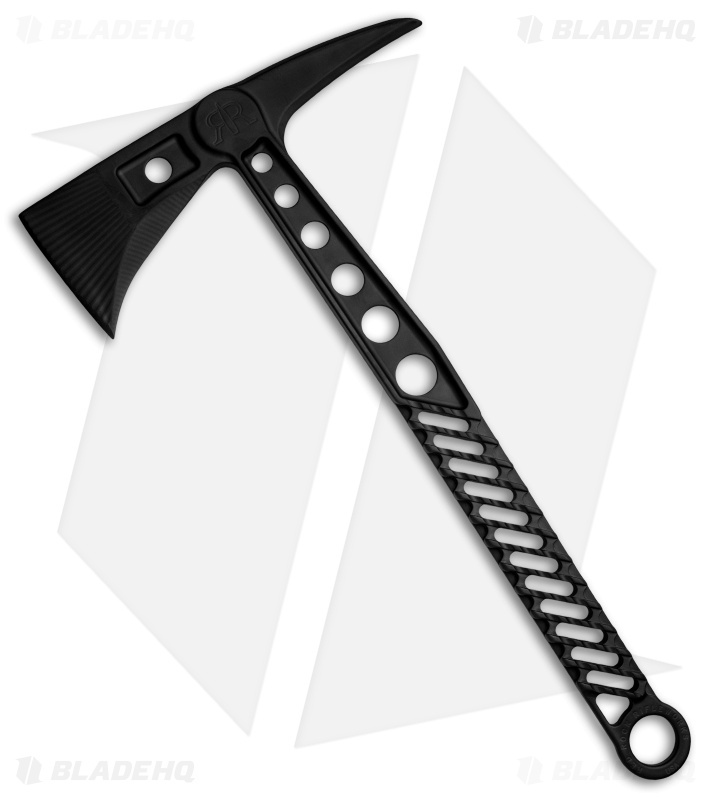 The axe measures 8.25" from head to spike and is designed for breaching, chopping, splitting, and puncturing. A notched handle provides a substantial grip that can easily be wrapped with paracord for more comfort in hand. 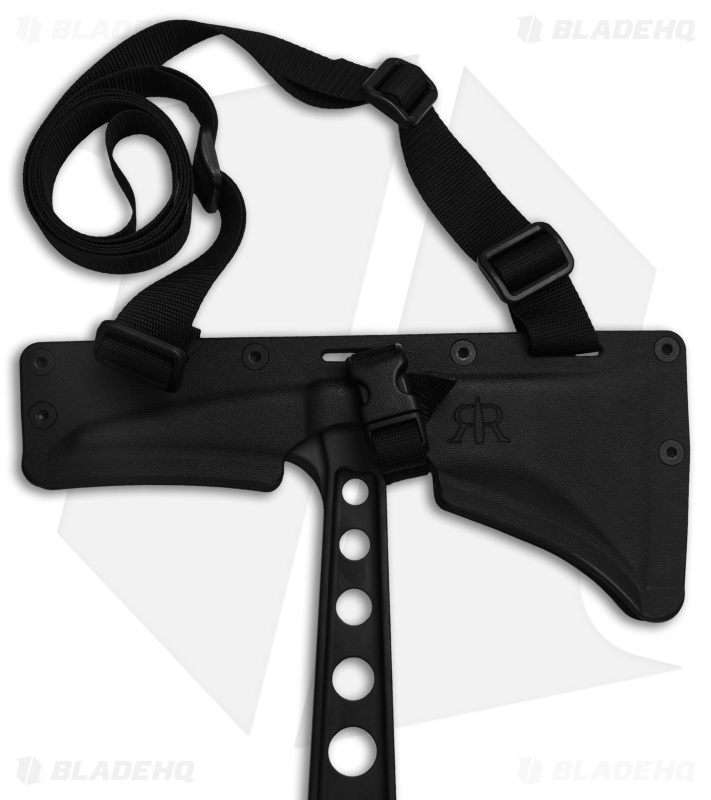 This MT-1 model has a black DLC finish and comes equipped with a Kydex sheath. CNC milled monolithic design offers extreme structural durability and weight reduction. 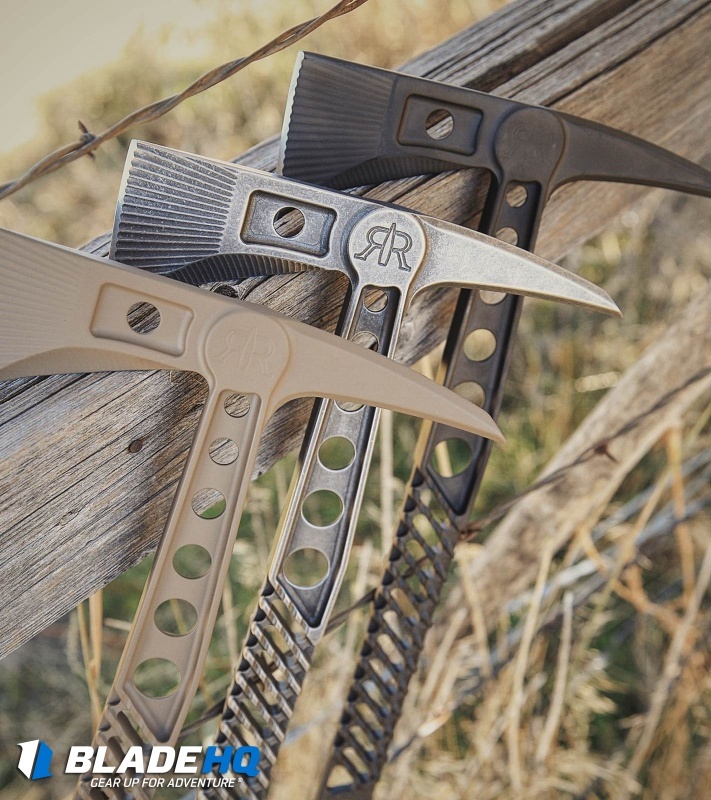 Blade has a steep double bevel for breaching, hacking, chopping, hooking, and more. Chamfered handle provides a substantial grip for bare or gloved hands. Kydex sheath offers PALS/MOLLE compatibility with optional shoulder strap and belt buckle configurations.